The first railway in Switzerland, the Schweizerische Nordbahn (SNB), opened to traffic on August 9, 1847. The line was built to connect the cities of Zürich and Baden, a distance of 23km; it is still in use today. Its colloquial name ‘Spanisch Brötli Bahn’ came about because of the delicious Spanish pastries that were the speciality of a Baden bakery. The wealthy residents of Zürich insisted on having these delicacies on their breakfast tables, so their servants were asked to fetch them on foot! Once the railway came into operation, it brought the goods to Zürich, hence the name. Sadly, none of the original rolling stock survives intact, but a faithful replica was constructed to celebrate the railway’s centenary in 1947. The engine and seven coaches are now on display at the Swiss Transport Museum at Lucerne and occasionally are brought into service for special events and excursions. 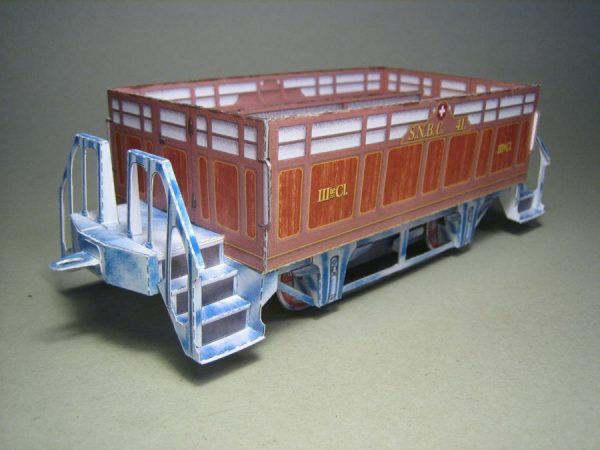 During the 1980s, the ‘Pädagogischer Verlag des Lehrervereins Zürich’ (teachers’ union) published paper model kits of the locomotive ‘Limmat’, its tender and the first class coach A 1. 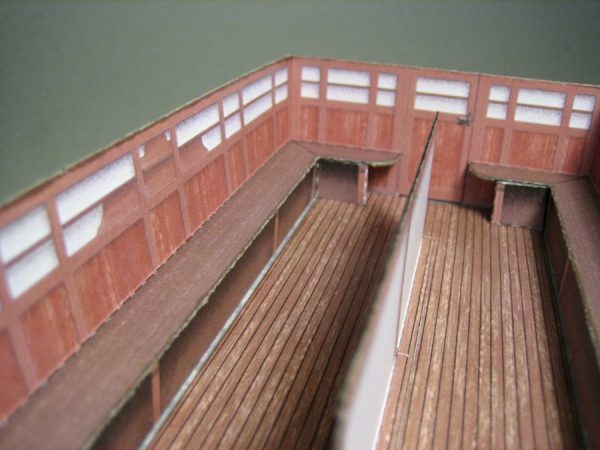 The models, designed for school children, were drawn to a scale of 1:29. In all the time since, none of the remaining six coaches has ever been published. 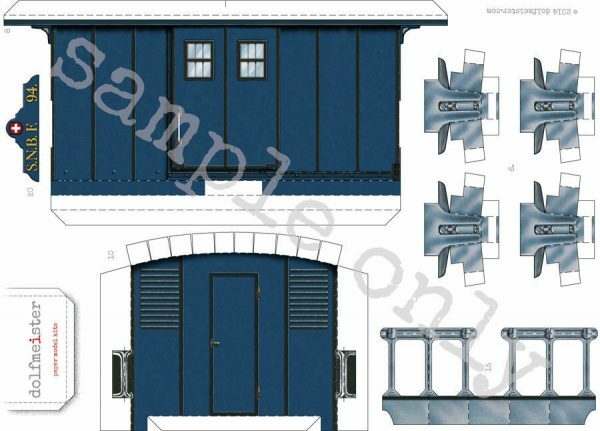 dolfmeister has been working on designing the coaches needed to complete the historic train. Based on kit No. 313 of the first class coach, they have been entirely re-drawn to improve accuracy and to reflect the different shapes. 2nd class coach B22, adapted from the original kit. There was, however, somewhat of a dilemma with this project. On the one hand, some of the parts borrowed from the original were required so that the new kits would match the old. This ‘borrowing’ meant possible infringement of the publisher’s copyright. 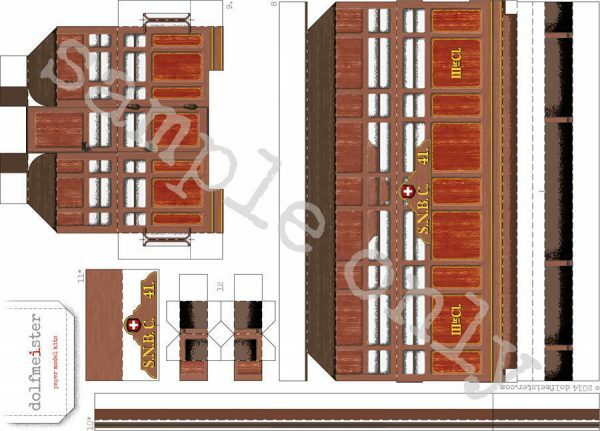 Out of all the new designs, only the luggage van was far enough removed from the original to be able to get away with it. 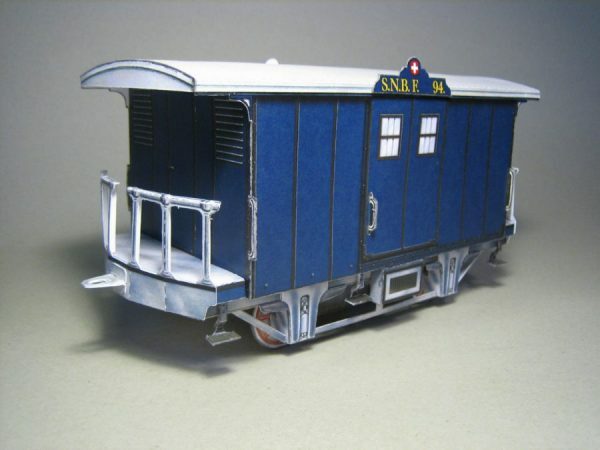 Luggage van F94. 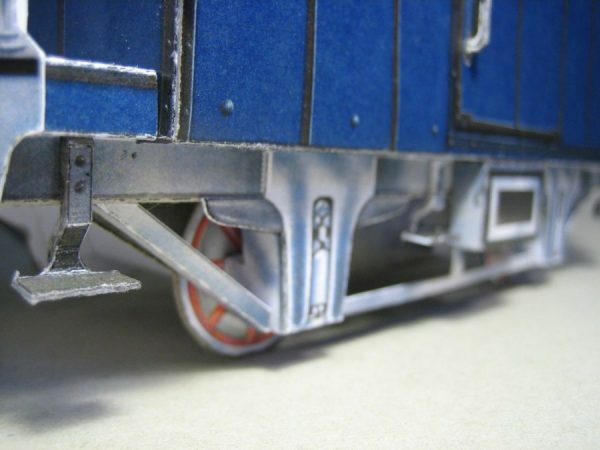 Note the different railings and chassis details. In the end, it was decided to contact the publishers and either offer the new designs for their range or to ask permission to publish them myself. The response was, that the matter would be discussed at the upcoming staff meeting in January 2015. The response has been, that the three original kits were deemed “too difficult for children” and that they had been dropped from the range. For this reason, they said I was welcome to publish the kits myself.